KIEV, Ukraine -- The Ukrainian Energy Forum is ongoing in Kiev, and it could not have come at a more interesting time for a country that some experts say is at the center of an impending global gas war. 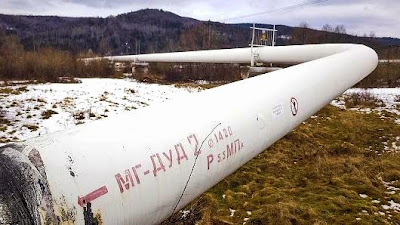 Ukraine Prime Minister Arseniy Yatsenyuk submitted a draft law to parliament last week suggesting that the country drastically change its gas storage and transportation system. Specifically, the Ukrainian government wants to keep at least 51 percent ownership of pipelines and other domestic energy facilities, but begin selling the rest to companies from the United States and European Union. The proposed move is seen as a measure designed to buttress Ukraine's position against Gazprom, the energy giant that's controlled by the Russian government. Gazprom claims that Ukraine owes it $2 billion for natural gas that it used domestically. But sources who spoke with CNBC cast doubt on the success of such an effort, saying that Russian President Vladimir Putin will continue to play his hand in the region until a deal is made that gives him control of the pipeline, which transports Russian natural gas to markets in Europe. Robert Bensh, managing director of Pelicourt, an energy firm that holds assets in Ukraine, told CNBC that Putin will do everything he can to prevent such a law from going through. "Putin will not stop until he gets that pipeline," Bensh said, adding that Ukrainian President Petro Poroshenko "will be forced by Putin to sell the pipeline in order to resolve all gas debts and to remove all opposition forces within Ukraine, at the very least." Ian Brzezinski, senior fellow at the Atlantic Council who focuses on trans-Atlantic security, told CNBC that Putin's goal is to reassert Russian hegemony, if not control over Ukraine. "Acquiring control of a pipeline is one step toward and one benefit of achieving his overall objective," Brzezinski said. Bensh said, however, that he believes the United States will not idly stand by while Russia attempts to take control of Ukraine's gas transportation system. The U.S. ambassador to Ukraine, Geoffrey Pyatt, did not immediately respond to CNBC's request for comment on the matter. Timothy Ash, head of emerging markets at Standard Bank in London, characterized the draft law as a political move by Ukraine, which faces serious financial difficulties that Russia could help relieve if it felt pressure to do so. He does not see such a move succeeding, however, because Russia's influence over Ukraine is too great. "Russia comes in and takes Crimea, so they could get what they want with the pipeline as well," Ash said. Bensh told CNBC that Russian involvement in dividing up or acquiring the pipeline could cause a global gas war which would see Russia more strongly playing its hand as Ukraine and Europe's energy supplier. Russia recently inked a deal with China to provide more gas to the world's second-largest economy, an agreement that gives Putin more market leverage in his dealings with Ukraine and the West. "I do not see a global gas war, but I do see gas serving as a tool in a regional conflict, and that is already the case," he said. A spokesman from Chevron, which has operations in Ukraine, told CNBC that the company is not in a position to comment on the pipeline ownership proposal.